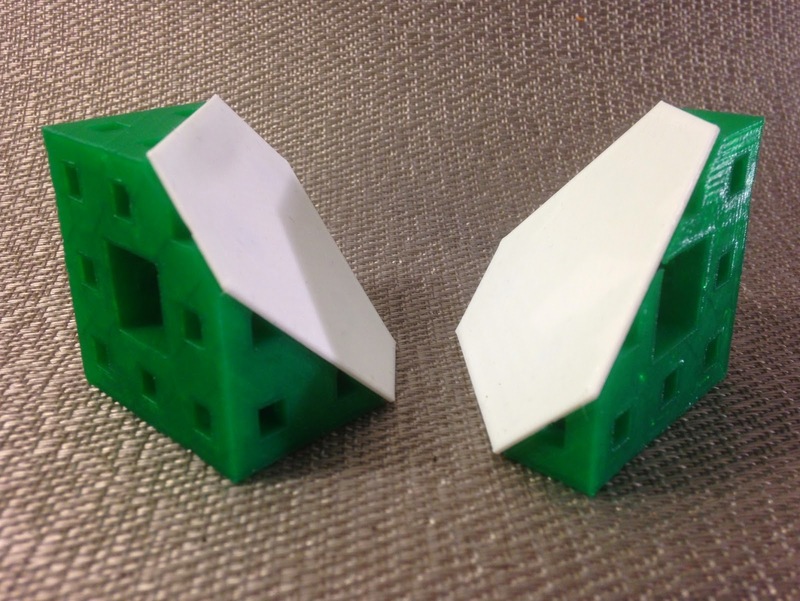 At this year's Gathering for Gardner Conference (G4G11) I gave a short talk about 3D printing sliced Menger sponges. So that people could look at the sliced models and guess what the sliced face looks like, I made some white printed coverups to hide the sliced faces. Settings: MakerWare .3mm/low. 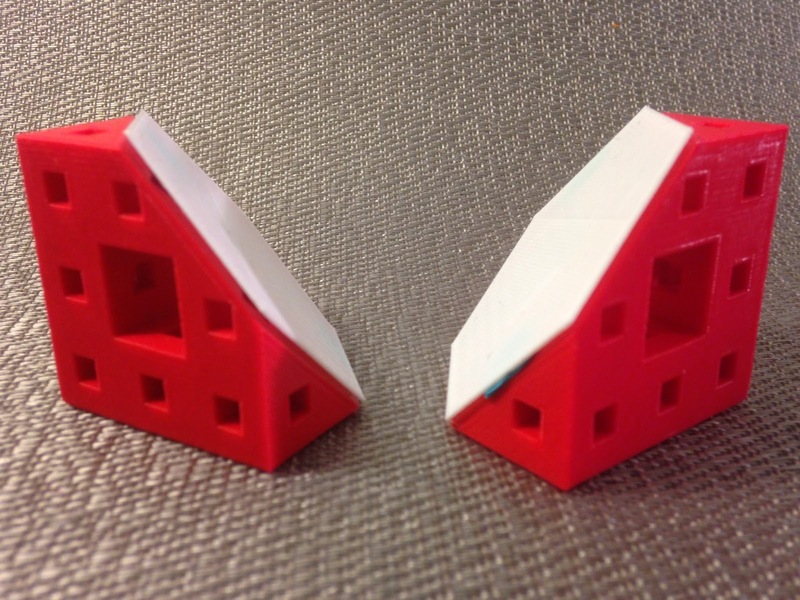 The cover shapes can be held onto the Menger slices with poster tack, although this does sometimes leave a small amount of blue residue on the model afterwards. 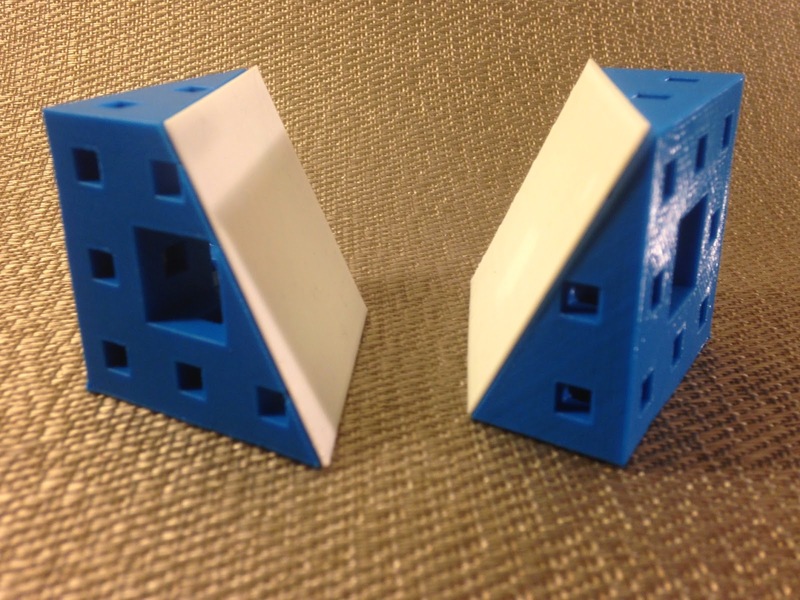 Congratulations to Glen, Tanya, and Daniel for winning the Menger-slice-drawing contest at the conference; each got a 43mm Level 3 Menger sponge (see Day 161) as a prize!